10 Motivating Time Management Quotes for the Home Office: Get Inspired Now! You are not going to believe all the time management quotes we analyzed for you. We violated the advice of several of them in the process, but in the end found 10 incredibly inspiring quotes about time management. If we had time, we’d print out and hang every single one of these quotes in the home office. Image credit: iotdfi at sxc.hu. Indeed, let’s get the obvious out of the way. There is so much wisdom, so many quotes in this vein. Benjamin Franklin was huge, huge about time management and procrastination, so much so that most of his quotes are familiar to us as proverbs. Seneca gives us a new twist to think about regarding procrastination. Procrastination is a sort of laser-focused concentration: you devote vast resources of unconscious energy into not doing something. So much energy, even, that we might not even notice opportunities passing by. Seneca’s relevance today? Procrastination-goaders like Facebook, Twitter, texting, and Internet forums make us feel we’re involved in life while in reality, life is speeding by around us. Try to limit social networking to only what’s necessary—and be honest with yourself about what’s necessary! You procrastinated anyway. Now get over it. It was either this lovely Maugham quote or a practical quote, one of disputed origin by either Carl Sandburg or Antoine de Saint-Exupéry. Maugham won out because, well, just read it. Wow. It’s so applicable to all areas of life, not only time management, but also so very perfect for reminding us to seize the moment. Working alone in a home office, it’s easy to get bogged down thinking about the past. Perhaps yesterday there was a client problem. Maybe for the past month business has been slow. There are probably nagging thoughts about past experiences in your home office that influence how you still work even today. This quote reminds us that the past is gone and the present is everlasting. Every moment is a clean slate, a new opportunity. Even in Cicero‘s time, people knew that working all the time was bad for you, enslaved you. Carve out some free time daily from your home office schedule. To go a step further, multitasking is terrible. It’s distracting, disrupts brain patterns, makes it harder to concentrate, and as Syrus pointed out in the first century BC, multitasking leads to poorer quality on both things being worked on in the end. The greatest perk of most home office workers is setting their own hours. However, impressions still count when dealing with clients or the public, and Shakespeare reminds us of how being even a minute late for a meeting can leave a bad impression. Read on to the next page for more time management quotes. Included because it’s a less-familiar Franklin quote, yet so pithy it should be more so. Who hasn’t overslept and then spent all day feeling like they were playing catch-up? Remembering the consequences of poor scheduling may remind you of the benefits of rising early to tackle work in the home office. Time fills the space allotted. The lesson for home office workers? Set or get deadlines. When clients waffle on due dates for work, press them or suggest deadlines yourself. The same goes for internal projects for your business. Without deadlines, projects will go on forever. If you want something done, give it to a busy person to do. This one is closely related to the one above, but reminded me of busy people vs. non-busy people. Give a task to someone who has leisure time, and it likely won’t get done. Give it to someone busily working through tasks, and they’ll fit it in effortlessly (but likely with some pointed grumbling). Try fitting in the most onerous tasks into a busy day, so you can complete them without having to think about how annoying they are. Break big jobs down into little ones, and the big job will, as Lord Chesterfield says, take care of itself. Don’t do makework or busywork. Make sure all the work you do, you do for a reason. 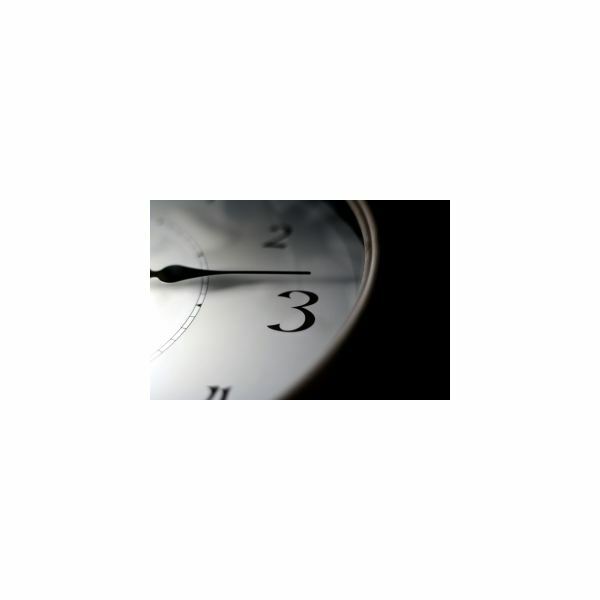 These time management quotes, spanning the eons from thousands of years ago to the last century, show that managing time has always been a human problem. We’re inclined to disarray; to distraction and worry, but the quotes here are intended as tools to stop those in their tracks. Read them, memorize them, and they will motivate and inspire you not just to higher productivity, but more happiness in the home office and life as well.